Sometimes it's better not knowing much about the musical acts you're going to see. It's an incredibly great feeling to be surprised and turned into a genuine fan of musicians that you were unfamiliar with. Such was the case this past week at Schubas, where I was met with an diverse and all around fantastic collection of local musicians. Originally I was expecting to see Gemma Ray, but her cancellation came far in advance and I was ready to experience what the Chicago music scene had to offer. Turns out I got way more than I was expecting from all three acts. 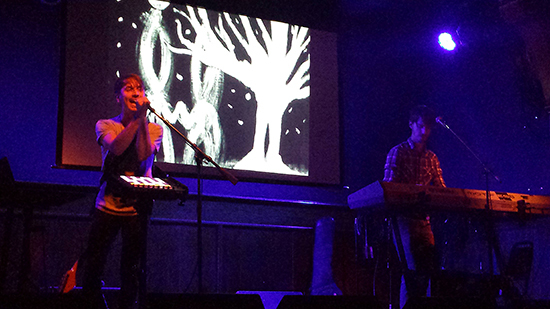 The groove-able sounds of Brash Flair, the darky mystical Rasplyn, and the electronically inclined rock of Dial In delivered a great eclectic night of Chicago musicians at Schubas. The duo of Kristin Johnston and Joshua Wentz started off the evening as Brash Flair and they really impressed me. Their sound is really a complex assortment of beautifully arranged beats and keys cast beneath Johnston's unwavering voice. The music and vocals never fight for attention, rather melding together in a sonically satisfying array. 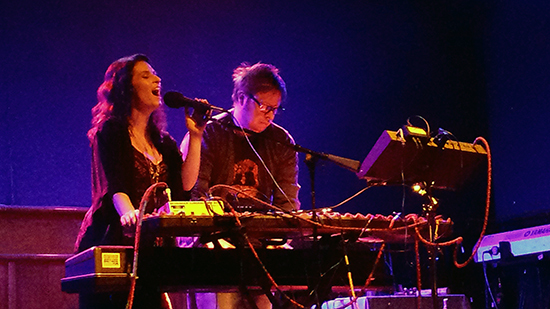 Their songs are ambient electronic music that often finds itself spread across genres. There elements of glitch sewn into some song that end up experimenting with an almost modern hip hop beats. They created lush and dense soundscapes that rise up to these intricate highs that transcend the sum of the parts. "Good Morning" was a particularly powerful stand out in their set, showcasing Johnston's voice prominently. Johnston and Wentz continuously switched places behind their setup, taking control of every aspect of their flowing sound with an effortless grace. They ended their set by building up a song on the fly, a beautiful expression of how well the duo work together. Tone shifted in a very interesting way with Rasplyn, the solo project of Carolyn O'Neill. Throughout her set O'Neill implemented a diverse range of live instrumentation to accompany her prerecord sections, including a bass guitar, clarinet, bells, and a rainstick. Her sound has a darkness that O'Neill fuses together a combination of artistic elements into her performance. The textured and incredibly layered songs are played in tandem with very striking visuals of distorted greenery and implied mysticism that prevail amongst her videos. Her songs are often punctuated by her voice in a near meditative chant, avoiding input from lyrical connotations, opting for a more of a beautiful droning darkness. "Circle Round" is an really interesting outlier, which repeated the passionate mantra, "We are a circle", as O'Neill strummed her bass. 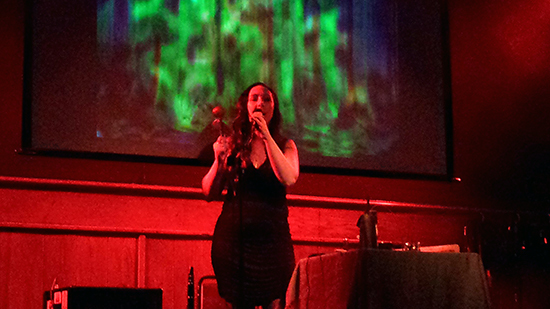 Her final song hit a serene high with the use of a meditation bowl echoing its hum around Schubas. Dial In came out to finish off the night with an impressive set. Shane Wirkes and Daniel Modica's songs are a mesh of electronic elements and more traditional alternative rock aspects flowing into their sound. Immediately I felt a strong influence from Radiohead, which was later confirmed as they covered a couple of their songs including "Anyone Can Play Guitar". The very apparent influence however does not distract from Dial In's originality. "Dojo" has a fast beat to it that likens itself closely electro pop while "House Practices" opts for lower and more powerful tones. It's during the more downtempo songs where one can get the sense of how great the two musicians are. Wirkes voice shined throughout the songs, finding a balance between strained yell and softer croons. The also performed unreleased tracks from a forth coming release, with "The Balloonist" having a nice impact at the end of their set. As they played a collection of black and white images cycled through capturing a sensation of each song, shifting between sketched out images and stark tree branches reaching into the void. One quick glimpse of an image in the video read "Joie de vivre", a perfect french expression to cap of the night.